Preparing its students for successful and competitive careers in the accounting and auditing profession. Rider offers high quality undergraduate and graduate accounting programs with small classes, dedicated and experienced faculty, experiential learning opportunities and a strong placement record. Within our accounting programs, we offer a concentration in Business Forensics at the undergraduate level and a concentration in Forensic Accounting at the graduate level. 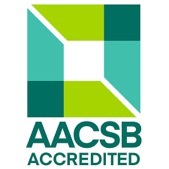 We are proud that both the business and accounting programs are accredited by AACSB International - the Association to Advance Collegiate Schools of Business. Accounting accreditation is held by less than 5% of programs worldwide and this accreditation reflects our commitment to excellence in our programs. Our programs are designed to prepare students for a variety of career paths in the accounting profession. We provide a challenging, yet supportive, learning environment and our classes develop critical thinking abilities, as well as technical, communication and interpersonal skills. All students meet with a faculty advisor once a semester, not only for advice about academic choices, but also for assistance in planning for a successful career. Our co-op and internship programs provide students with opportunities to work in public, corporate, governmental and not-for-profit settings during junior year and/or in the graduate program. Over 70% of last year's accounting majors worked either a paid summer internship or co-op position. Our graduates are recruited by the ‘Big 4’, regional and small accounting firms, major corporations and governmental agencies and we have a long history of our alumni achieving professional distinction and holding top positions in the accounting profession. Our faculty hold both advanced degrees and professional certifications such as CPA, CMA and CFE and are active in the accounting profession. They publish in the Accounting Review, Journal of Forensic Accounting, Issues in Accounting Education, the CPA Journal, Journal of Accountancy, Strategic Finance and other prestigious academic and professional journals. Beta Alpha Psi, the national honor society that recognizes excellence in accounting, finance and information systems. These organizations meet frequently and provide our students with opportunities to network with accounting and finance professionals. The Department’s Accounting Advisory Council provides linkages to the profession for both faculty and students and they guide us in curriculum planning. Learn about our programs, faculty, student organizations, and professional certification requirements. See the real return on investment of a Rider University education through first-person accounts from our talented business alumni.